Zentai,P and Toth, Sarolta shared first place with 7.5/9. Here are two of Zentai’s dramatic games. White’s has an extra exchange and is very active. What do you recommend for white now? The position looks chaotic but if black does nothing white will simply push the h-pawn. What do you recommend for black? Zentai,P and Toth, Sarolta shared first place with 7.5/9. Here are two of Toth’s games. Black has a promising position but played 21..e4? and lost a pawn. Black is excellently place for a kingside attack. What do you recommend for black? All photos by Thomas Heyl(GER). Thanks!! Zentai,P and Toth, Sarolta shared first place with 7.5/9. I finished with a win and 4.5/9 for an unsatisfactory performance after letting many nice positions slip away into draws or losses. GM Hera Imre Jr. and IM Mihok, Oliver shared first with 6/9. IM To and FM Torma shared first with 7/9. Zentai, Juhasz ,Farago and Erdos lead with 5.5/7. I got crushed completely in my game as white by Bakk, Zoltan who used a Keres Defence to avoid my preparations. Zentai, Juhasz ,Farago and Erdos lead with 5.5/7. Here is my rd7 game against former 2200+ player Bakk,Zoltan who completely outplayed me. It’s game over on 27..g4! Well, it had been strategically game over for some time and the axe fell with no mercy. Zoldy, and Erdos share first with the only perfect scores. A large group follows with 2.5/3. Zoldy continued his incredible upset streak with another win over Kormos,Adam. Zoldy is also the organizer of the Frech Karolyi Open and RR events held in June. Zoldy in in the center right behind the bench(4th from left) with the big smile. Here’s my game with IM Szalancy,E. I tried a new anti-Benoni system with the d5-e4-f3 central pawn chain which gave a good position after some risky play by black. I played 19.Nfe4 taking the center and aiming at the hole on g5 but 19.Ra4! was better and the h-pawn falls. Zoldy continued his incredible upset streak with another win over Kormos,Adam. 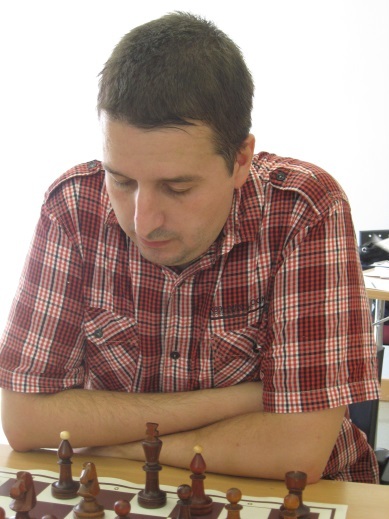 IM Meszaros used a London System and a queenside attack to win against the veteran Lakat. Heyl’s Sicilian Kan was broken with an exchange sacrifice. Zoldy, and Erdos share first with the only perfect scores. A large group follows with 2.5/3. IM Hagen is in the sole lead with 2.5/3. IM To has the only perfect score and has the sole lead with 3/3. Zoldy was again the big man winning another upset game. Papagorasz won nicely with a …Nxf2! combination catching white’s king in the center and then winning the queen. Palla did well to get a draw with a solid Queen’s Indian. I thought Csabai had a good position in the early middlegame with a modest Reti but when I returned the game was over with Erdos winning. My opponent made a quick draw offer on move 11 which I could not really refuse as black so I accepted and enjoyed a light day. Thanks to Heyl,Thomas(GER) for the pictures. 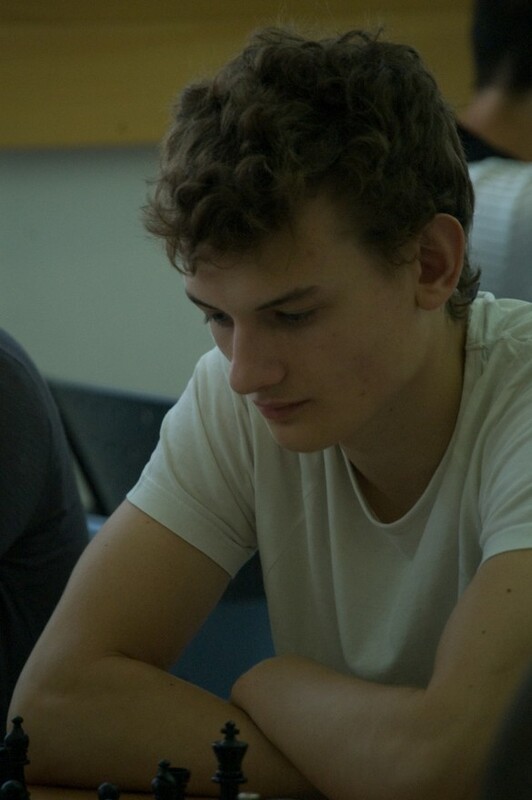 Heyl also did well to draw with WFM Toth. GM-elect Ludwig came back with a win. IM To and FM Torma lead with 2/2. FM Lyell won a nice game with opposite color bishops. Gal traded down to a R-R ending with two extra pawns for the victory. I missed the opening ceremony but apparently GM Portisch sang the national anthem. Zoldy pulled off the big upset by beating top seed IM Szalanczy. 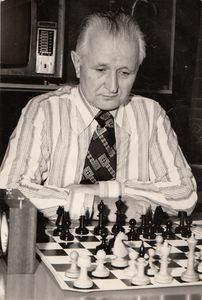 Karacsonyi,Kata had a nice position against Alvin, Leo but lost. Mester, Attila looked completely lost but got a draw against young Kovacsy, Barnabas. 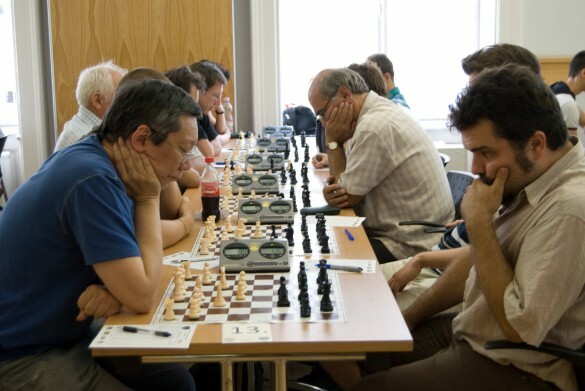 The Grandmasters made draws. 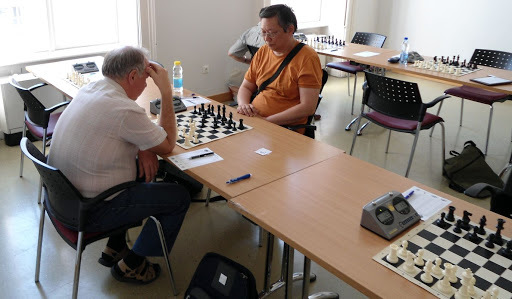 IM Ludwig (USA)played aggressively and lost to IM Galyas. Ludwig has met all the norm requirements for the GM title and is looking to drive his rating up. 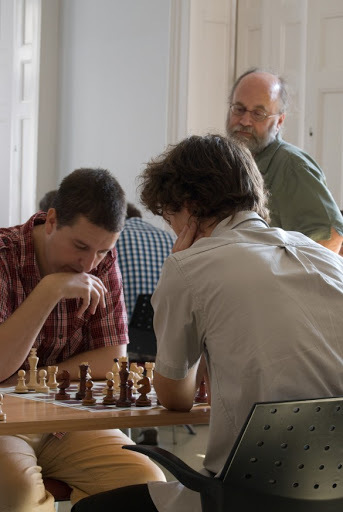 August is a big month for Budapest chess. 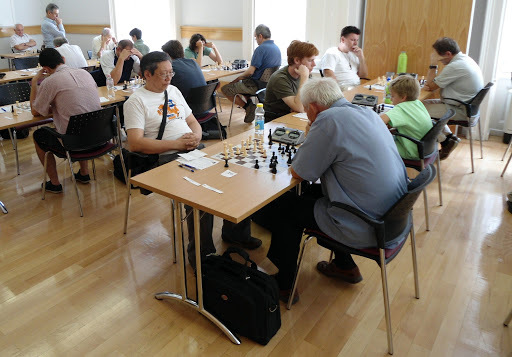 Last weekend sixty-six players attended the Art Pub FIDE Open, now the festival continues. For cheap tournaments all year round. GM Gonda and FM Hujbert share the lead with 1.5/2. Farkas, Richard and Juhasz, Bela share the lead with 2/2. Burgin, Ryan(ENG); Jelic Neven(CRO) and Montolio, Benedicto Cesar(ESP) are part of a group with 1/2. 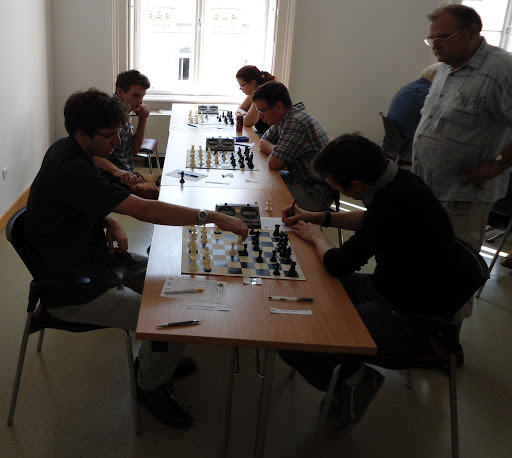 Takacs and Schmidt Wolfgang(GER) share the lead with 2/2. Vasilev Sergey(RUS) has 1.5/2. 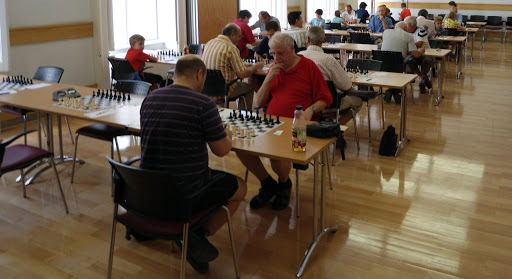 There are bargain tournaments available, all with prizes and modest entry fees. 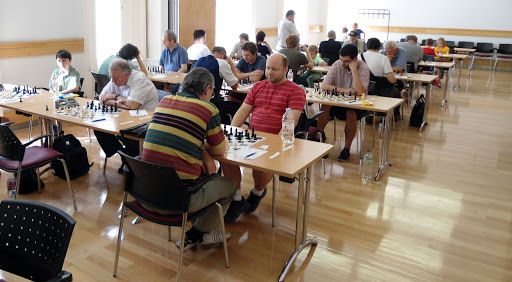 Check the Hungarian Federation event listing for events. June has some nice events. 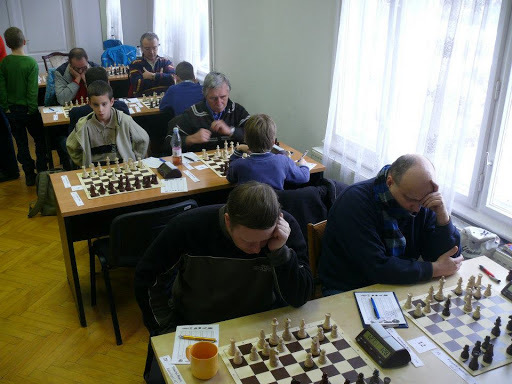 This event is held at my club Rakosligeti(RAC). 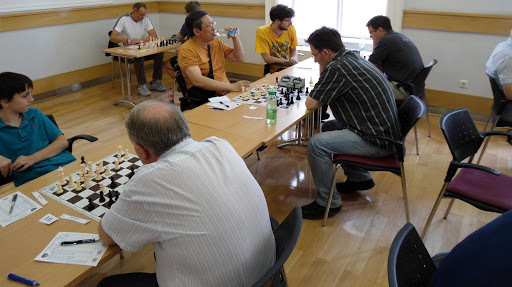 This RR at the normal 1 game/day pace is one of my favorite events(a bargain at 15EUR!). There is also a small open running at the same time. This is a wonderful event on the calender that I played in last year. This should be a great event again. 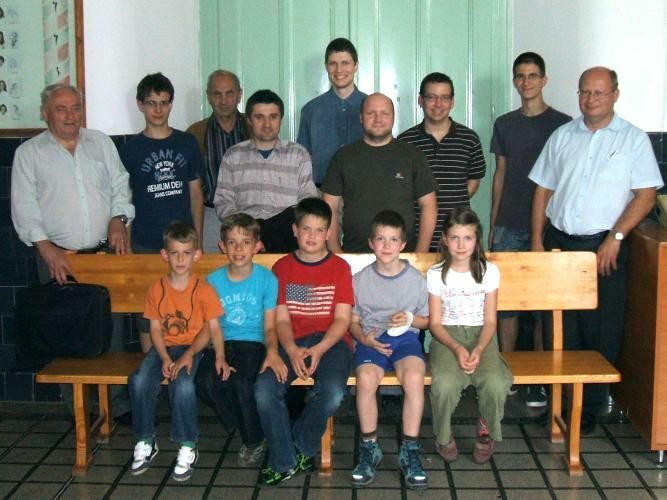 The secret to Hungarian chess is knowing where to find the tournament information-it’s not so obvious. Then know the market prices to find the bargains. Note also there is a Budapest Tournament discount card that gives you 10% off participating tournaments. It’s not really a card, they add you to a list that organizers access at registration time. 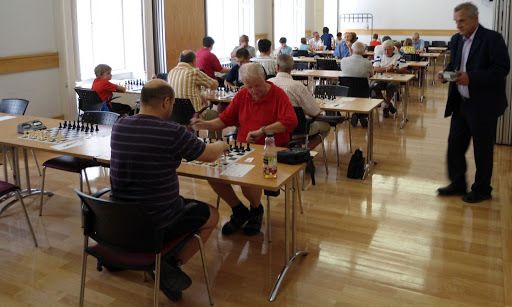 It’s time to get ready for this year’s Budapest Open and the GM-IM group tournaments. Here is some of last year’s action.